You have received 26 submissions over SSL this month, while the SSL Submissions limit is 10 per month for our Free accounts. 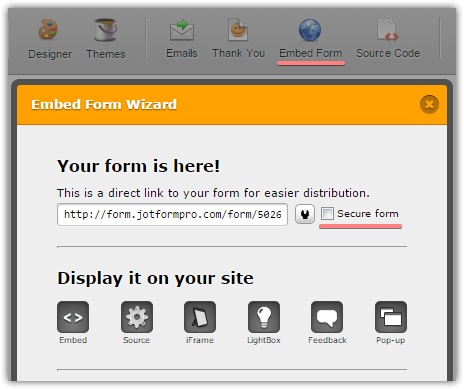 If you would like to accept regular submissions, you will need to make sure that the 'Secure form' option is not checked, then get the regular form link/code. As a one time exception, we have reset your SSL limit, so your forms are active now. In case you would like to be able to accept more submissions over SSL, please consider upgrading your account.